Harry N. Abrams, 9781617691010, 224pp. 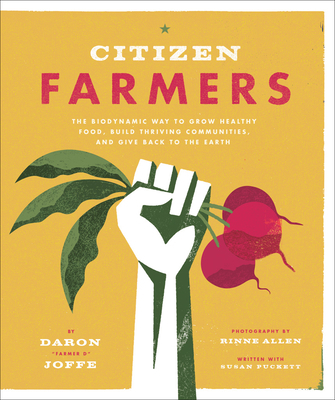 Daron Joffe is the founder of Farmer D Organics and designs and builds biodynamic farms all over the country for celebrity clients as well as nonprofit organizations. He and his company have appeared in the New York Times, the Los Angeles Times, and Southern Living, and on CNN’s Eatocracy. His Farmer D brand of compost is sold in Whole Foods stores in the Southeast, and his planting beds are sold through Williams-Sonoma. He lives in Oakland, California.